1.4 How much is a Real? The beliefs of the fifteenth century included, among other things, the absolute danger of sailing past the Pillars of Hercules. Thus they were called at that time two promontories located in the Strait of Gibraltar: Mount Calpe to the north (Gibraltar) and the Rock of Abila to the south (Ceuta). This was the obligatory passage of the mare nostrum (the Mediterranean) to the greater and unknown part of the enormous Atlantic Ocean. And according to the mythology of Antiquity, the colossal Hercules would have written in both columns the lapidary warning. Nec plus ultra “not beyond” (ie: do not trespass). The very few who dared to pass (and could return) counted dreadful adventures filled with sea monsters and demonic appearances. Yet, the Admiral Christopher Columbus dared to cross the Pillars of Hercules and with that passage reached the “Indies” (America). He repeated this adventure several more times and founded the first Castellanos settlements in the American continent. Such feat gave the united crowns of Castile and Aragon, germ of the unified Spain after seven centuries of independence war against Islam. The tremendous pride of having overcome the curse of the dreaded Columns to go further (in Latin: plus ultra). 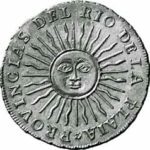 With the passage of time, and taking advantage of the silver and gold of America, coins were minted representing the Spanish shield with the columns of Hercules and the inscription Plus Ultra, surrounding them in course. The sign of the bars and the S, was taken by the Americans of the Spanish Peso for its currency, called Dollar. 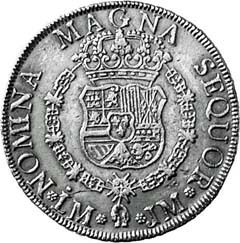 In its origin Spanish Silver Pillar Dollar is the word that also has Spanish origin. United States of America: The Dolar Spanish Pillar dollar. The word Dollar comes from the Spanish tálero, as it comes from talerus, which is the latinized expression of the German word thaler (pronounced talar). This is the name that the Germans gave to the Spanish Real. The thaler when arriving in america through England, became the dollar. The word Pillar comes from the two pillars of hercules minted in the coins. The coin created by the Catholic Kings, the real piece to eight, was minted in three metals, gold, silver and copper. It was coined both in Spain and in several regions of America, which had the necessary authorization. From the original to the piece of eight, there were several pieces, to facilitate the changes. 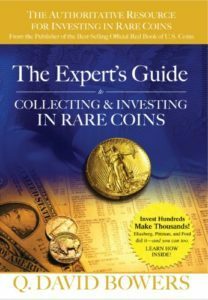 There was the currency of the real, and then there were coins of two reales, four reales and eight reales ( piece of eight) . There were real gold and silver, being the ratio of value between both metals from 1 gold to 16 silver. At the time of the creation of the real of eight, the real already existed, so denominated currency because it was issued by the king, and not by a feudal lord. How much is a Real? The real was worth 34 maravedíes. 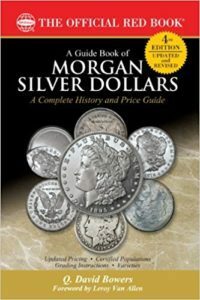 A real piece of eight of silver was worth 8 x 34 = 272 maravedíes, and the piece of eight of gold (commonly called doubloon), was worth 16 times more: 8 x 34 x 16 = 4,352 maravedíes. 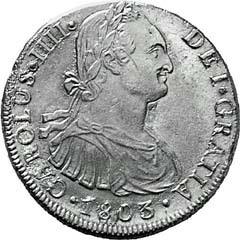 The real was a coin in pieces or parts of unit value eight, with its multiples of eight. 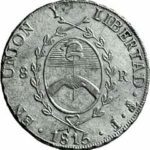 The Spanish Silver Pillar Dollar was based on the conversion of the silver coin to eight reales, which was the first silver dollar. 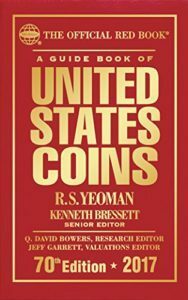 The Value of 1/8 of Real was 12.5 cents of dollar, popularly called Bit. 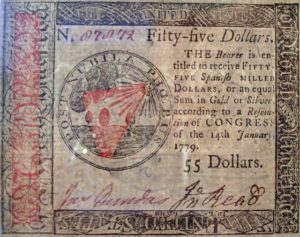 This notebank paper of three dollars are already combined, in their impression the eight real coins (2) and one coined in the United States, which goes ahead and overshadowing the Spanish.